Firenze is the magical city of dreams, art, and romance. It’s my favorite city and I can’t wait to share my favorite finds and the best things to do in Florence, Italy. I visited the city countless times and I was lucky enough to live here for 4 months and I cannot wait to return again! I fell in love with it the first day I’ve arrived and turned down the first street. I hope I can help you get to know this wonderful city a little better and even inspire you to spend a little more time here when you visit. 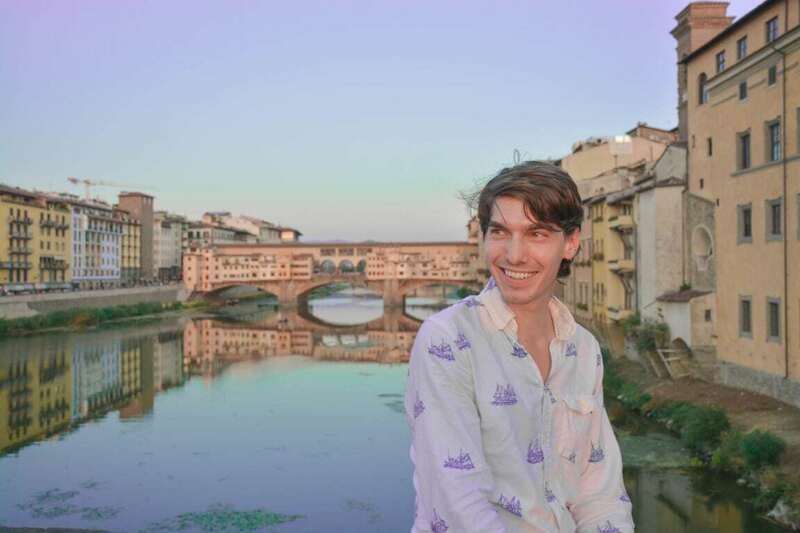 Being a Florentine is truly unique, a completely different experience than living anywhere else in Italy. So much so that they even had their own language called the Florentine dialect which is a subdialect of the Tuscan dialect. Although people in Florence don’t use the Florentine dialect anymore. Only a couple of words and expressions survived the centuries. In case you would like to get to know the language better you can read original works of Giovanni Boccaccio, Francesco Petrarch, Niccolò Machiavelli or probably the most famous of them all Dante Alighieri. His most well-known work Divine Comedy should be on your read list anyways. 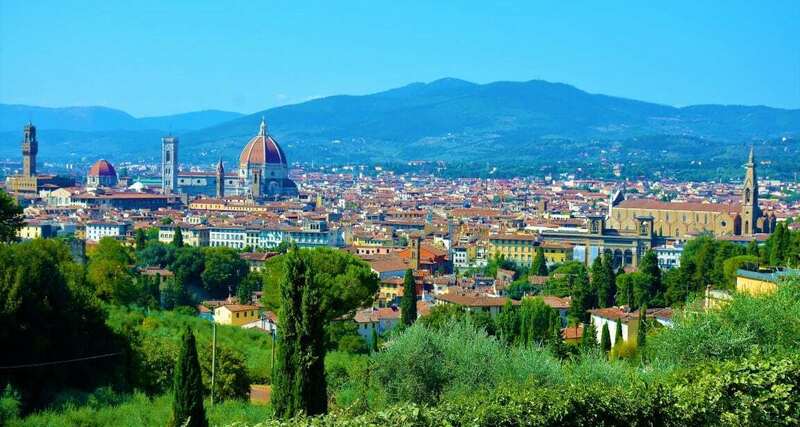 Florence is not just the heart but also the actual capital of Tuscany. 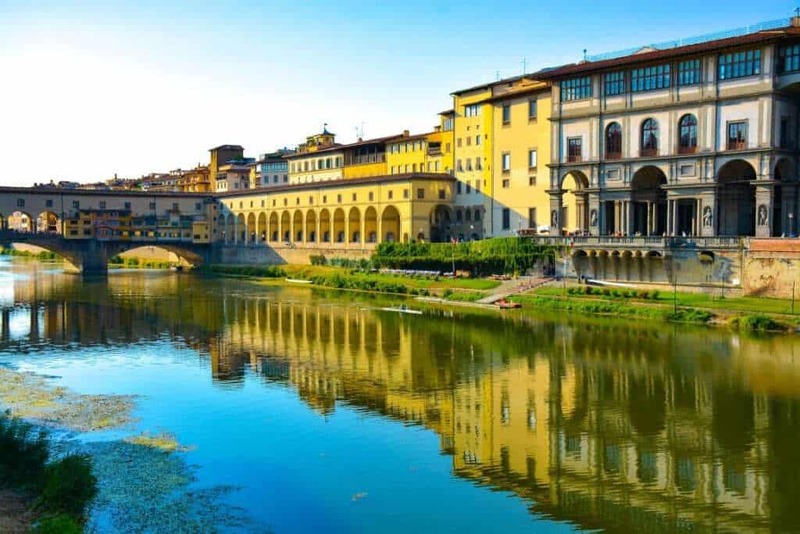 Florence is the “cradle of the Renaissance” – la culla del Rinascimento and you will not be disappointed if you’re looking for some amazing art. Because that is what Florence is about on every step and every turn you’ll see an amazing building, sculpture or find a museum. I think most people can’t get a real feel for the city because they rush through it in a day. 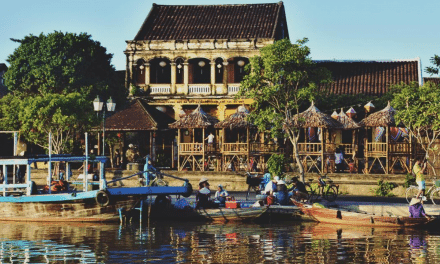 Naturally, you want to visit as many museums and city sights as possible unfortunately this can be very challenging and you’ll just end up tired and be missing the magic that this city can offer you. 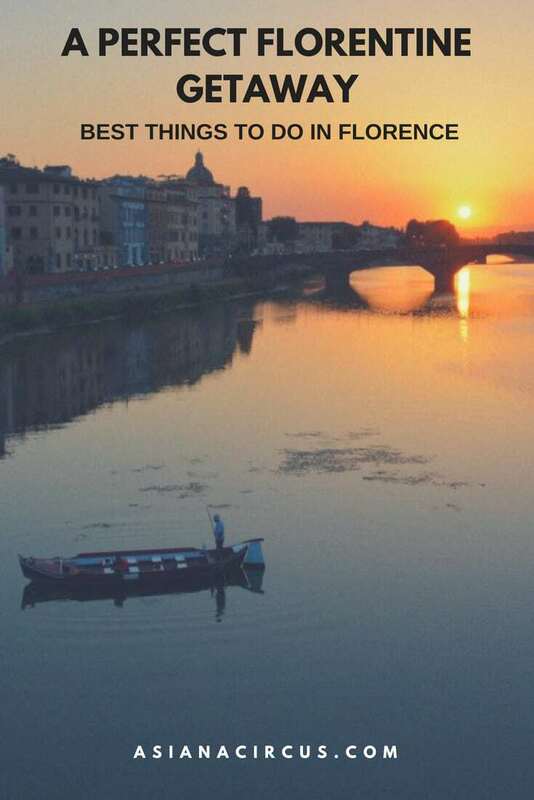 My advice would be to spend a little more time in the city just wandering around, find areas and places you simply enjoy sitting down and soak in Firenze. This way you’ll enjoy your city break, holiday a lot more. Although, I warn you. You’re going to end up like me; constantly craving for Florence when not there and leaving with teary eyes but also with incredible and longlasting memories. 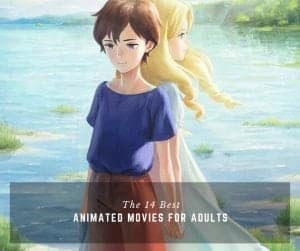 I also included extra info & tips at the bottom of the post. 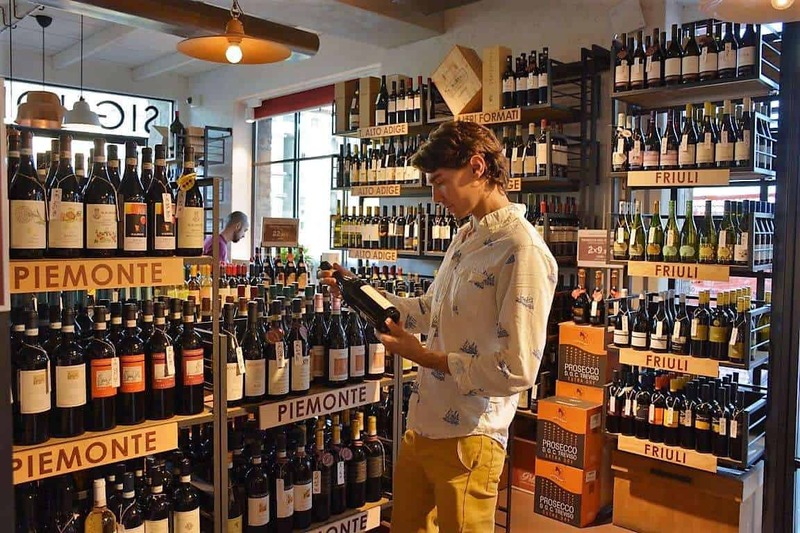 What are the best things to do in Florence? Let me show you! First comes first. Brace yourself dear reader; this got longer than I anticipated! Although, it got more fun and hopefully better too. Just do me a favor and grab a bottle of water before you start. Thanks! 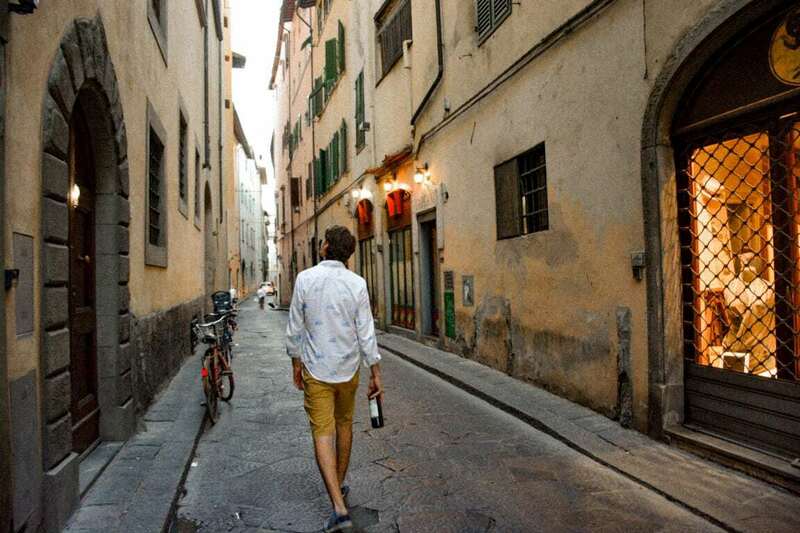 This is one of my absolute favorite things to do in Florence and probably I miss the most. I found this beautiful, quiet place not far from the center so it’s easy to reach but just far enough from the crowd and bustle of it. 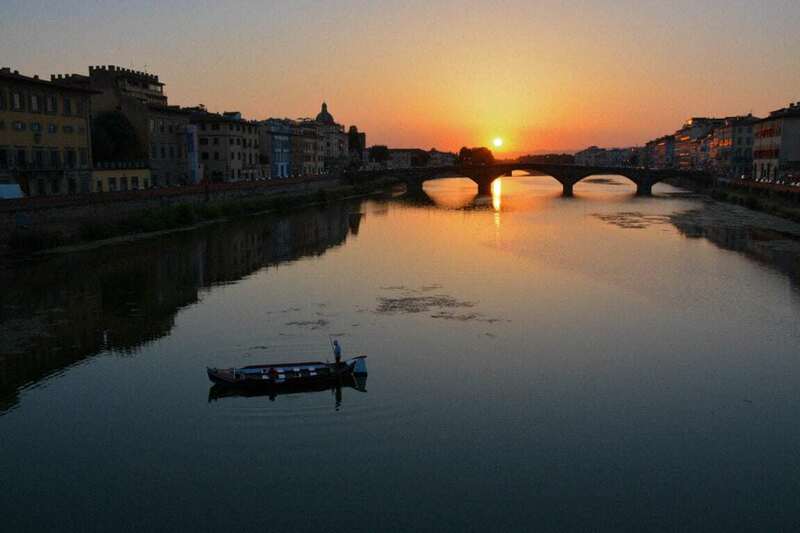 You can enjoy here one of the most beautiful sunsets Florence has to offer. 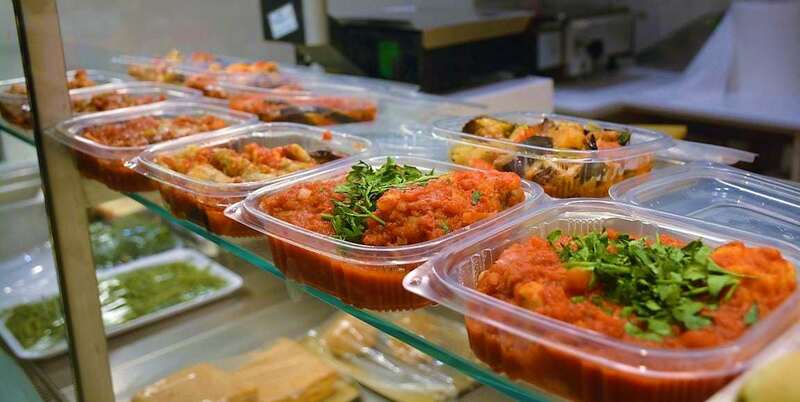 Grab a take away Pizza from one of the restaurants, a nice bottle of Tuscan wine and the evening is perfect. If you want to use nice wine glasses you can grab them from one of the €0.99 shops. You can find this place if you walk down on Lungarno Delle Grazie, you will see it a little before Ponte (bridge) S. Niccolo. By the way, another one of my favorite places is also nearby this bridge but about that a little later. 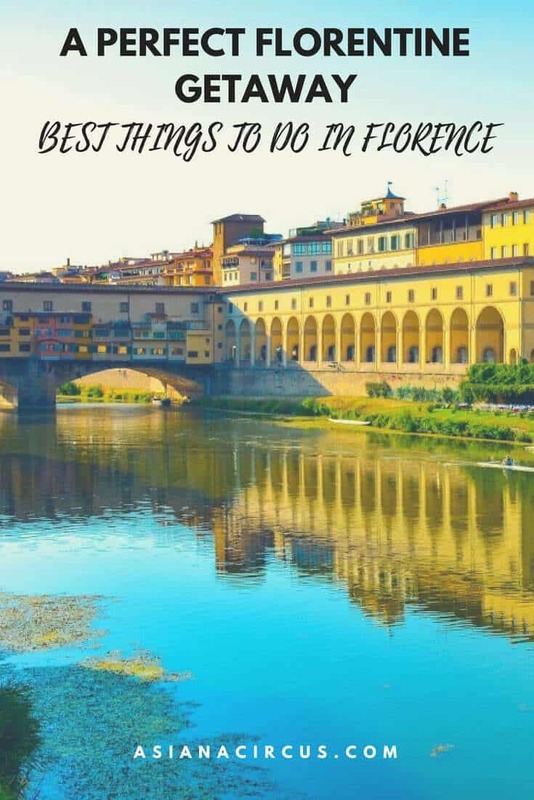 It’s not just one of the best things you can do in Florence but will be one of the most memorable ones as well. It’s also a perfect place to take some nice Insta shots! The Uffizi Gallery is Vasari’s masterpiece for a good reason. It was built in 1560 by Cosimo I de’ Medici and the building itself is an architectural masterpiece. Walking around and enjoying its beauty is an experience itself. Not to mention the thousands of unique masterworks that are waiting for you inside. This museum might be one of the most touristy ones but visiting it is definitely one of the most amazing things to do in Florence. Doni Tondo by Michelangelo, Madonna of the Goldfinch by Raphael, Laocoön and his Sons by Baccio Bandinelli, and Medusa by Caravaggio. You can also find works from one of my favorite artists The Birth of Venus, and the magnificent La Primavera by Sandro Botticelli. These are just a few of the many amazing artists whose best works you can only enjoy in the Uffizi. In case you’re looking for Michelangelo’s famous David statue you should head to The Accademia Gallery. In 1873, the statue was removed from Piazza Della Signoria, to protect it from damage, and the government decided to display it in The Accademia Gallery. Many people think that the David statue is in the Uffizi and get frustrated when they can’t find it. You can also find a replica placed on the Piazza in 1910. There are almost always huge lines in front of the Uffizi and for sure during high season. If you don’t want to waste precious hours by standing in lines you should pre-book your tickets online. You will find 3 types of tickets. Full, reduced, & free for more info visit Uffizi’s website. Admission costs $14 in the low season and $24 in the high season. 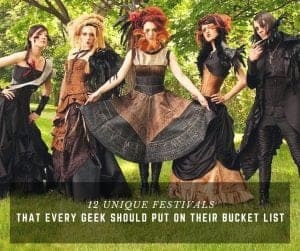 You’re going to spend here at least 2-4 hours, depending on your level of patience and geekiness. The Uffizi is always very crowded but on weekdays after 6 pm you’ll find a lot fewer tourists. Not to mention the obvious; if you visit in low season and on a weekday there are magical moments when you can enjoy the artworks almost by yourself. Shhh… I have a secret for you! 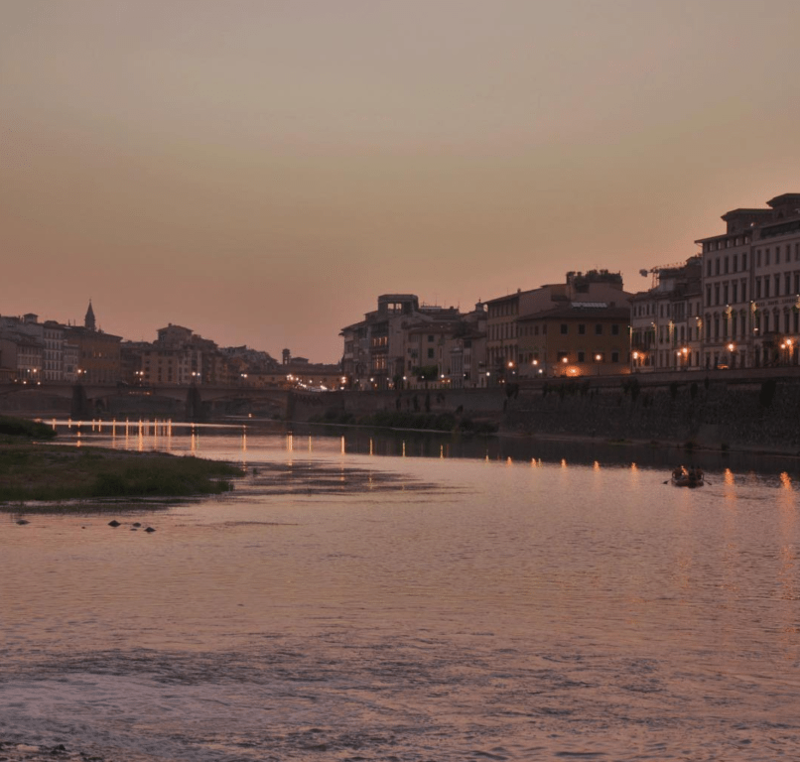 Did you know about the secret passage above Florence called The Vasari Corridor? No? Don’t worry, there is a reason it’s called the secret passage. However, this is an open secret and The Vasari Corridor gets more and more popular by every year. The corridor leads from Palazzo Vecchio, joins the Uffizi then makes its way to Palazzo Pitti. It was built by Duke Cosimo I de’Medici in the 16th century so he could move freely between his residence and the government palace because he felt insecure in public. You can still visit the corridor and even enjoy some art since the corridor is now set up as a small museum. 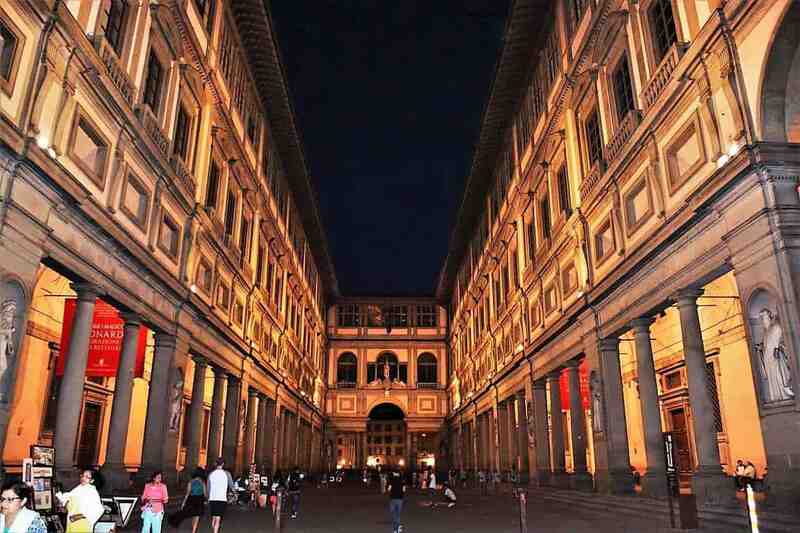 Keep in mind The Vasari Corridor is separate from the famous Uffizi Gallery. 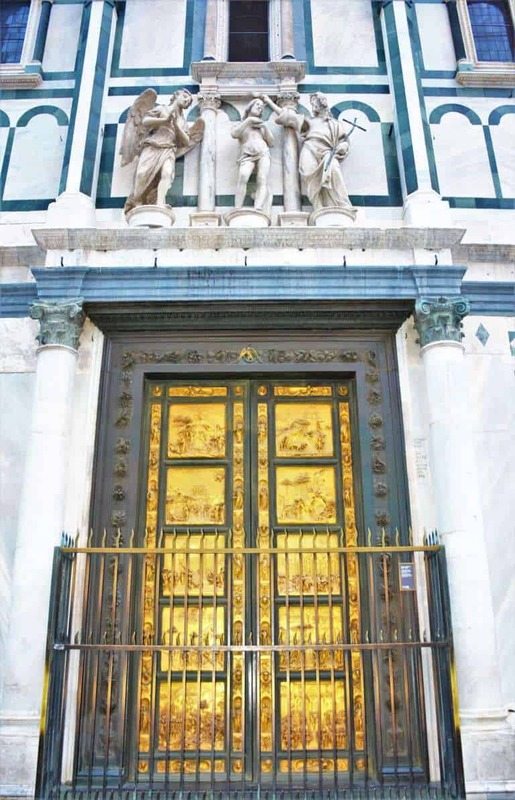 You can find the entrance of this remarkable place on the first floor of the Uffizi Gallery behind an unmarked door. Most tourists pass by it not knowing the secrets of this seemingly insignificant door. The Vasari Corridor is currently closed for renovations it will reopen to the public in 2018. This ancient bridge is one of the symbols of the city holding hands with the Duomo. Ponte Vecchio literally means “Old Bridge” in Italian. and it was the only bridge in the city until 1218. This bridge was built back in the Roman times and it first appears in a document of 996. It has been rebuilt many times since. Its current look was rebuilt in 1345 by Giorgio Vasari. One of the best things you can do in Florence is just to walk around the bridge, walk on it and visit the many craftsman shops on it. While it’s a remarkable spot yet it’s not the best for sunsets. I would recommend visiting other places in the city if you want to enjoy some truly beautiful sunsets. However, it’s a great spot for sunrises. One time walking around the city we ended up here to watch as the sun rises. We were lucky enough to have only a couple of street musicians on the bridge with us. Watching the sunrise, while listening to some melancholic & peaceful live music. To be perfectly honest, I did have a couple of glasses of wine during the night. Which, I’m sure didn’t hurt but this experience would have been just as wonderful without the wine. It’s one of my best memories from this city. I highly recommend to get up with the first rays of sunshine and enjoy this beautiful city before it wakes up. Show me your 💗 … but not like this! Lovers from all around come here and think that by locking a padlock and throwing the key into the river, they will become eternally bonded. One of many examples of the negative impact of mass tourism. Because the padlocks are spoiling and damaging the structure of the centuries-old bridge. You will get a $177 penalty if caught locking something to the fence and it’s just going to be removed anyway. Take a selfie at one of Adolf Hitler’s favorite bridges. Uhhh… This came out wrong. Let me explain! The city of Florence can also be thankful for this bridge because it kept away bombs and saved many lives during world war II. How? Simply by existing. 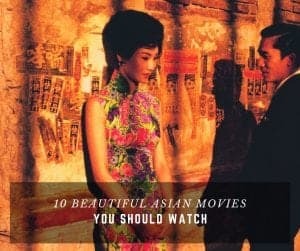 Its beauty and cultural significance are acknowledged and appreciated by everyone, even Adolf Hitler. Out of his admiration, he decided to save it from his bombers. You heard me right! I mean read… Take a boat ride in one of the most romantic and fascinating cities on earth. Not the worst way to spend a sunset, a nice Gondola ride on the Arno river will make sure of a memorable holiday and some epic shots as well. It can be just as beautiful and romantic as it would be in Venice. 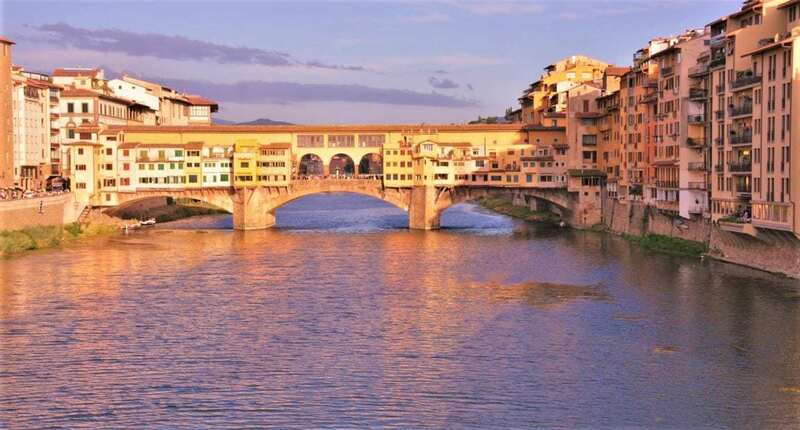 Not to mention that while Ponte Vecchio might be the most famous of all the bridges in Florence, there are a couple of others that are worth your attention. Especially if you want to see some epic sunsets. My favorite bridge to do that is Ponte Santa Trinita. Perfect for sunsets and also a great place to take photos of the city, and Ponte Vecchio as well. Gorgeous place both during sunset and at night. Because holiday calories don’t count… right?! Unfortunately, only in our dreams. In reality, this is the point of no return and the one where you should start thinking about the color of your new and wider pants. But boy, are they worth it! My favorite market is the Sant’ Ambrogio. This bakery can be found inside the market at one of the corner stalls. 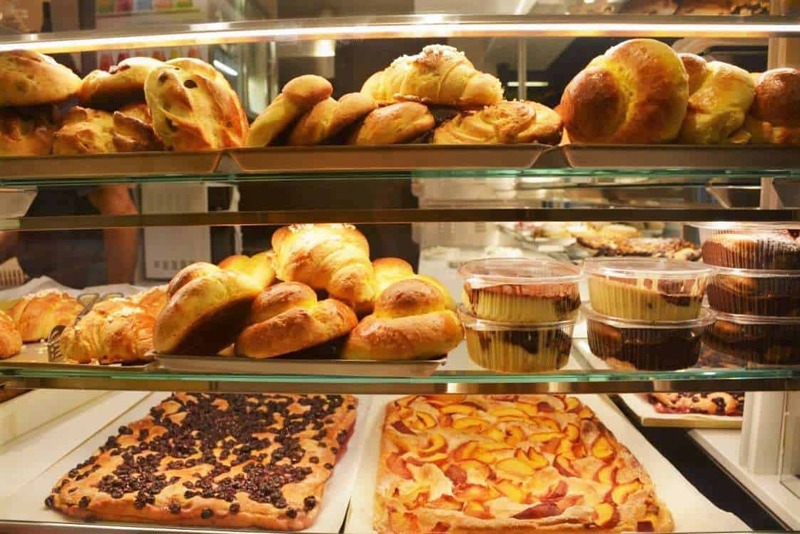 You can buy here freshly made traditional dishes & pastry. 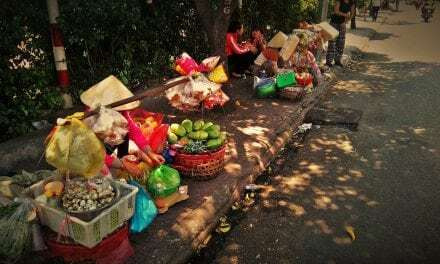 This market and the bakery is mostly visited by locals, who love the food here so if you want the best bites you have to visit this place early. You can also buy fresh fruit, vegetables, fish, meat and even clothing, and household goods. It’s open from Monday to Saturday. 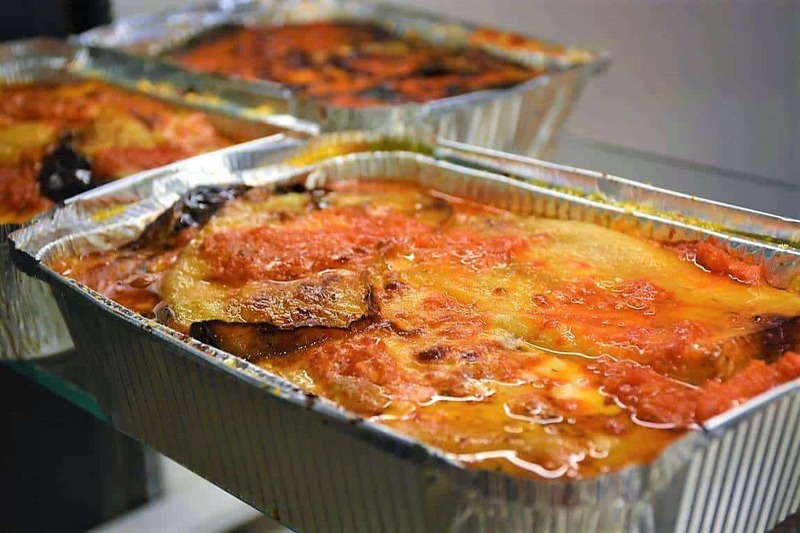 My favorite is Melanzane alla Parmigiana – Eggplant Parmesan. It’s rich in flavor and it costs only $3. Gelato is probably my favorite dessert and there is no better place to indulge myself in it than the birthplace of this delight. 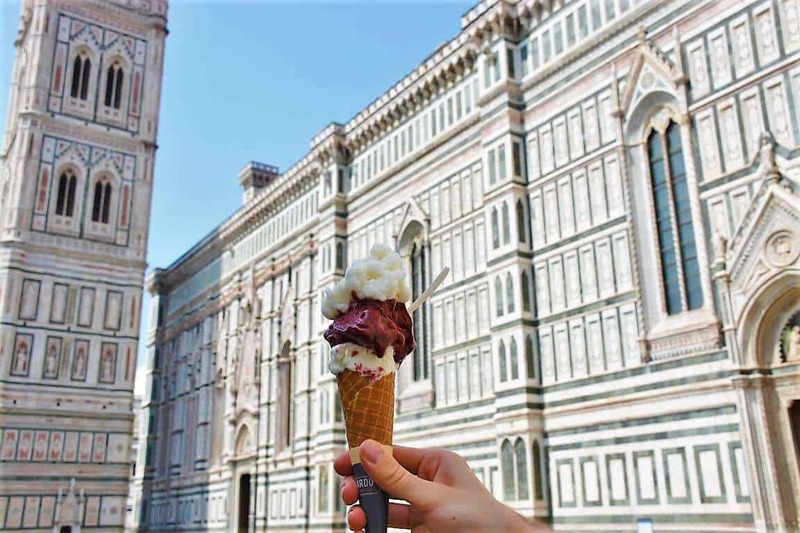 The story of this dessert goes back to the 16th century Florence and that’s why you’ll see more gelato sellers in this city than anywhere else in Italy. 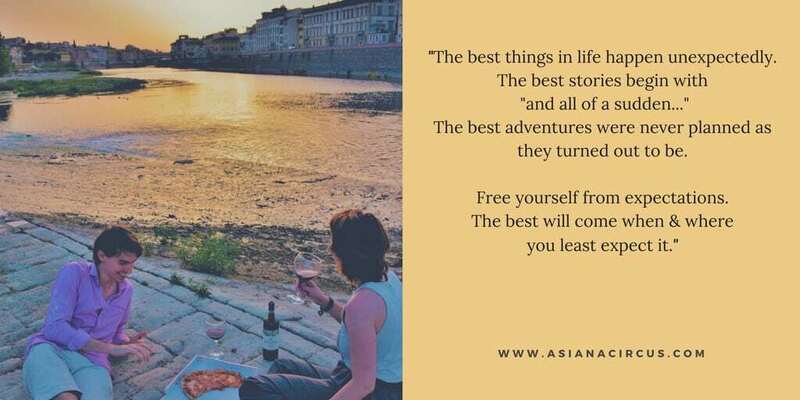 There are plenty of good places where you can and you should try it. My absolute favorite is Marco Ottaviano’s place! Unfortunately, he moved his gelato shop to Borgo San Lorenzo but it’s only a half an hour ride from Florence and is a wonderful journey. Two other places I love are Gelateria La Carraia and Gelateria de’ Neri. 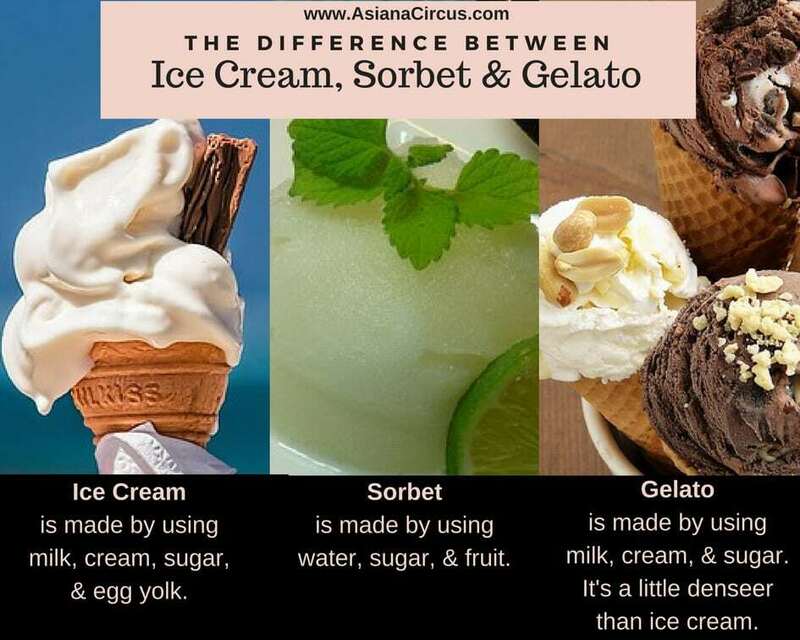 Have you ever wondered what’s the difference between Ice cream, sorbet, & gelato? One of the best & must visit places is definitely the Piazzale Michelangelo. You can take breathtaking photos both during sunset & sunrise. I also advise to put down the camera or phone you’re holding and enjoy the moment. There are many vendors there so don’t worry you can have a cold lemonade, beer or a glass of wine while enjoying the view. This Piazzale is usually very crowded but immensely beautiful. However, if you want some peace and quiet while you enjoy the view you should walk just a little further. Just follow the path behind the Piazzale Michelangelo and you’ll find another great area where you can enjoy a beautiful sunset or just spend some time looking down to this gorgeous city. The best part is that mostly no tourists make it until this point. My advice is to take your photos at Piazzale Michelangelo because the view is a slightly better there then head here to actually enjoy the moment. The Cattedrale di Santa Maria del Fiore, The Florence Cathedral, or The Duomo is Florence’s most famous landmark and is the third largest cathedral in the world. It took over 140 years to complete and many architects as well. Arnolfo di Cambio began to work on it in 1296 but the Cathedral got finally finished by Brunelleschi’s famous dome in 1436. One of the most beautiful Gothic, Neo-Gothic design that is kept in such a splendid condition. Once inside the Cathedral, you’ll be welcomed by breathtaking artworks. One of the biggest ones is Giorgio Vasari’s frescoes of the Last Judgment. While it was designed by Vasari it was painted mostly by his student Frederico Zuccari. There is also a clock above the entrance inside the church. It was designed by Paolo Uccello in 1443 in accordance with the ora Italica (Italian time or bohemian time). The clock has only one hand, running anti-clockwise and it begins at sunset and ends at sunset to mark every 24th hour that has passed. The clock still works to this day. One of the things that held up the works was because they didn’t know how to finish it. The top of the Cathedral was still missing. 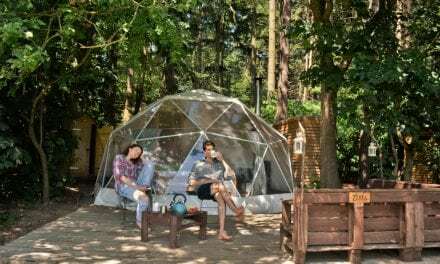 As a solution to the problem, a dome project was offered as a competition for a working design. A solution came from an unlikely place. A man named Brunelleschi who had no previous architectural training saved the day with an egg. He held up an egg, gave to the committee, and asked them to make the egg stand upright on the table. He would only give up his plans for building the Dome if they’re able to complete the task. None of the members were able to do it so Brunelleschi picked up the egg and smashed the bottom of it on the table, causing it to stand upright. And while anyone could have done it, no one thought of it. Just like with his design plan for the Dome. The project went to Brunelleschi who not just finished in 16 years but also invented the technology he needed to be able to build the dome. Brunelleschi stayed alive long enough to see his work ready. The dome remains the largest brick dome ever constructed. 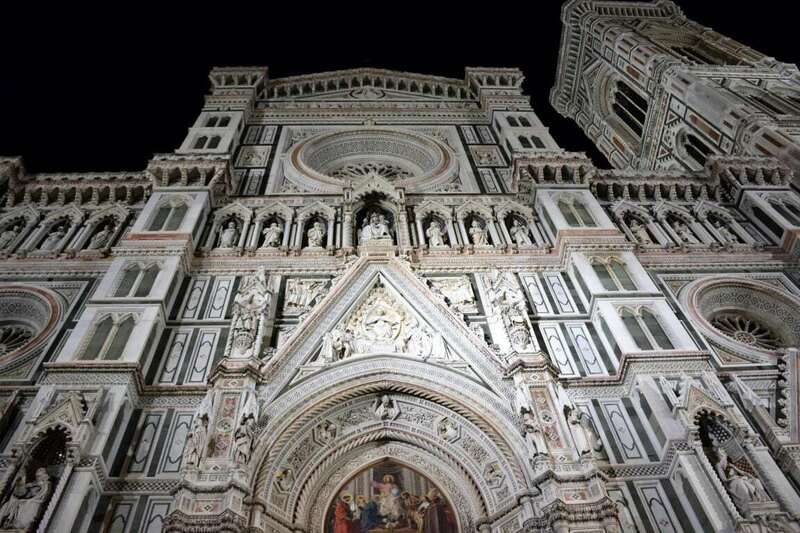 If Florence is the heart of Tuscany then The Duomo is Florence’s. Locals and tourists adore this cathedral for a reason. You will find many vendors, restaurants, gelateria, and artists around the Duomo. If you visit in low season you can enjoy its beauty a little more since during high season the Duomo and the Piazzale are both packed with tourists. Although, if walking around after 6 pm you will find a lot fewer people. If you want to visit all 5 monuments of the Duomo (crypt below cathedral, cupola-dome, bell tower, baptistery, and Opera del Duomo Museum) you can by an OPA PASS for $18. Gaze at the Gates Of Paradise. If you want to get a peaceful moment with gates and get a good shot you’re going to have to visit early or in the late hours. This gate was also created after a competition was held in 1401. The two runner-ups were Fillippo Brunelleschi ( Who later built the Dome for the Cathedral) & Lorenzo Ghiberti. They both submitted the same biblical work however Brunelleschi lost to Ghiberti because the judges preferred his classical style over Brunelleschi’s forward illustration. Italian food is hearty but mouth-watering. I have visited dozens of restaurants in Florence and was disappointed only a couple of times. This city has fantastic places from street food to high and elegant places. And they all offer fantastic food. No wonder why Italy is every foodie person’s dream. Honestly, it’s kind of hard for me to take photos of food. Even if I go to a place with the one and only purpose to take photos of food, by the time I get served I’m long lost in the scents and the wonderful ambiance these places have. I forget why I originally came and just see the food in front of me. By the time I realize I should have taken a shot of the dish I’m half-way through the meal. Just so you appreciate my photo above a little more. I took it at one of my favorite restaurants and it became one of my favorite traditional Italian meal as well. Vegan’s attention, unfortunately, this is not a dish for you. I’m a vegan or more of a ‘cheagan‘ (cheating vegan) as Serena Williams would say. I eat vegan most of the time about 80-90%. However, when I travel and want to try a traditional dish I do eat dishes made with meat or other animal products. Sorry, Babe 🐷, I’ll try to do better in the future. Signor Vino – Fancy dinner on average price, & a huge selection of vine collection. The dishes are more modern than traditional but dainty. If you want to get a perfect evening book a table on the balcony in advance. 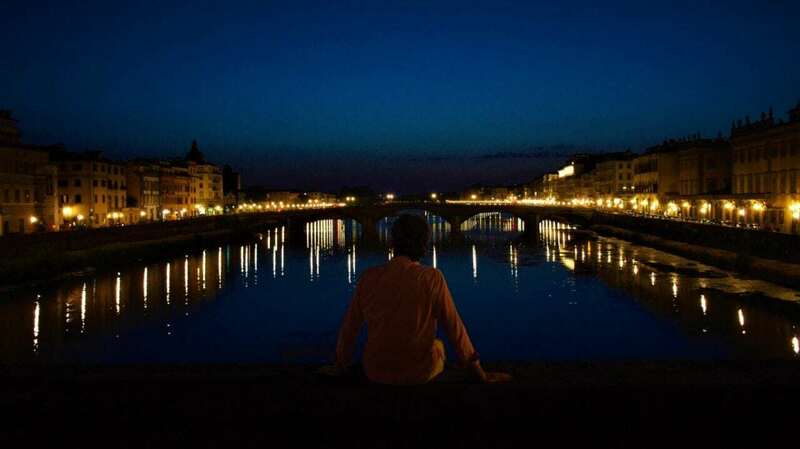 It has a wonderful view of Ponte Vecchio & the Uffizi. 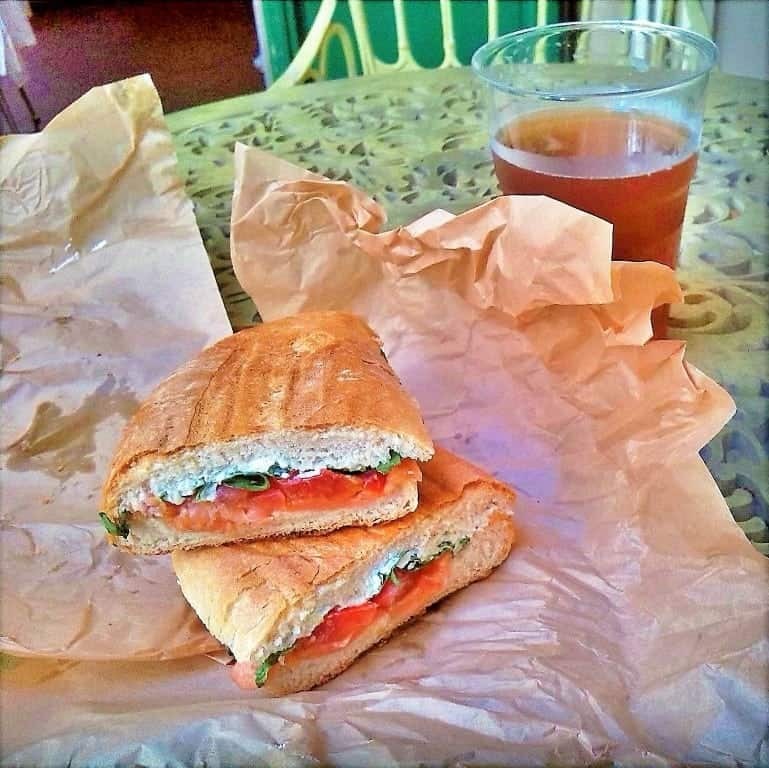 Semel For a perfect Florentine Panini visit Semel! Mouthwatering, huge selection for vegans too. Fagioli For traditional Florentine steak and vibe. Santarpia Florence is not big on Pizza. Rome has the Pizza while Florence has Panini. 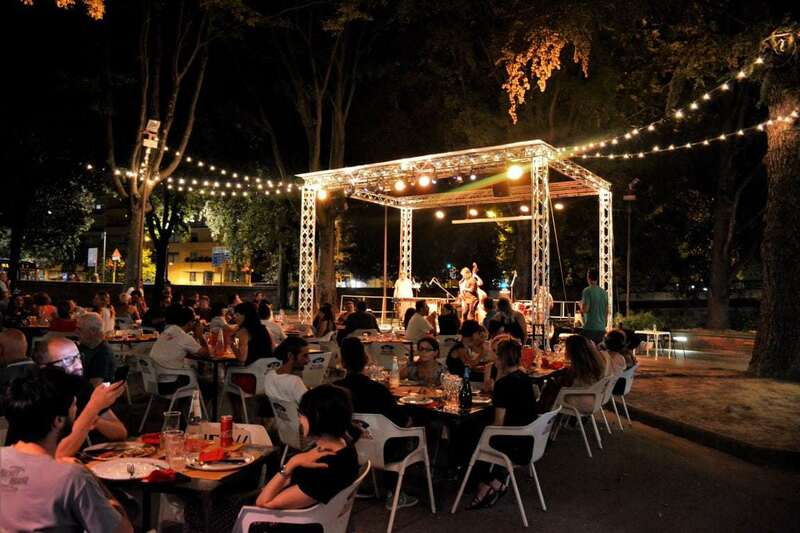 Although, Santarpia is a fantastic place if you want to try some award-winning Italian pizza. Osteria Il Gatto E la Volpe for the pasta lovers. Fiaschetteria Nuvoli for fantastic crostini! 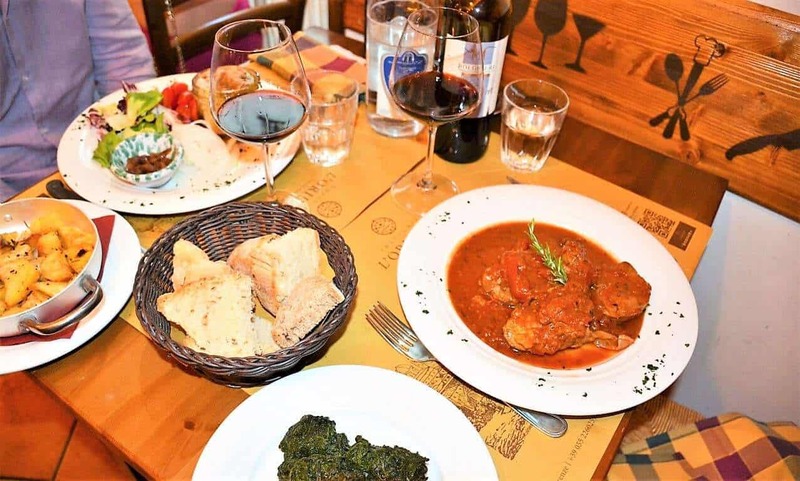 Trattoria l’Oriuolo for traditional, delicious Italian dishes and for a good price. You’re on holiday not on the Tour de France. Put down your map, forget about the museums, shops, and sights and just get lost. Enjoy this magnificent city! The small alleys, beautiful big & the many small Piazzale, and art will surround you no matter where you go. Firenze is the perfect place to feed your wanderlust and get a little lost. Beautiful & safe even if you’re a solo female traveler. I always loved walking around at night and Florence is more than perfect to do that. The beautiful architecture is all lit up, live music all around the city. From classical to Jazz you’ll find a musician you like. 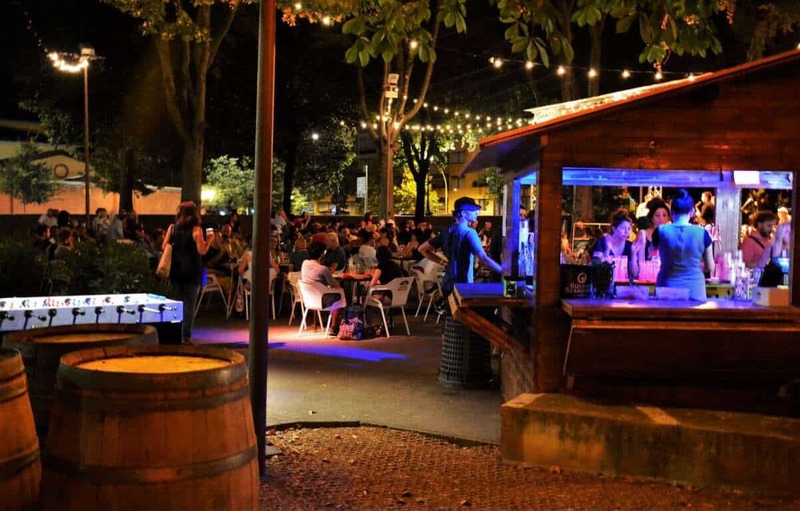 Sit down at a Piazzale and order a glass of wine. The night will fly by in a moment. My favorite from all the piazzas is the Santa Maria Novella. It’s a perfect place to rest, and enjoy the city’s vibe day & night. & my favorite place opens after dark. It’s on the south side of Ponte S. Niccolo hidden under the lush trees and decorated with magical lights. There is fresh food pasta & pizza, wine, delicious cocktails, and live music (A wide range of musicians perform here, from rock, jazz, classical to pop). And for a budget price! Locals visit this place 90% time and the staff speak limited English. So you better brush up on your Italian before you visit. We are happy to help you out with that. Visit our post and use the best & free online resources to learn any language you love. You can visit this place during the day. You’ll find most of the food booths closed. However, there is one Cafe booth that is open during the day. Hundreds if not thousands of artists live and create in Firenze. Look around on the streets and visit smaller museums as well. This is how I found my favorite Florentine artist too; Signor Alessandro Dari. 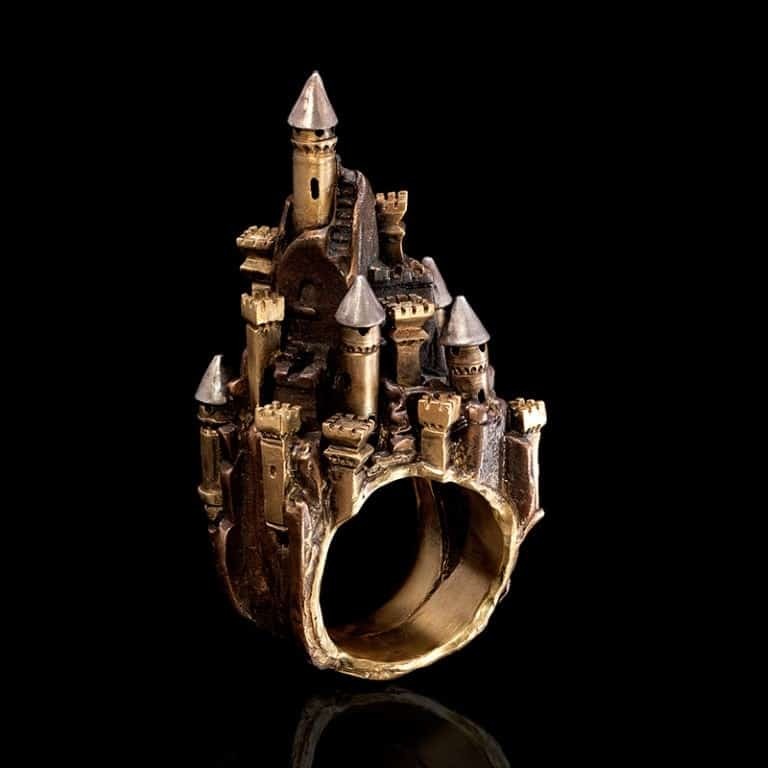 If you thought only the characters of The Lord Of The Rings can feel such strong emotions towards a piece of jewelry you certainly haven’t seen Signor Dari’s works. His works are even better! If you buy one his jewelry the darkness won’t bind you at all! Unfortunately, I can’t speak from personal experience yet but I think we’re free to assume his jewels come darkness free. 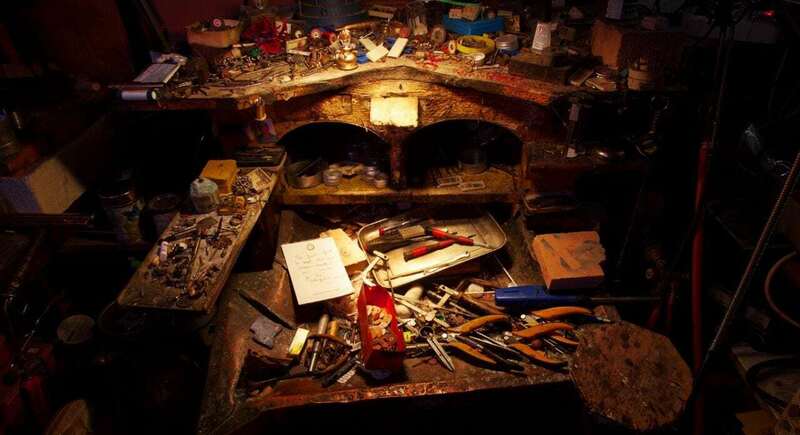 Signor Dari is a goldsmith who creates intricate jewelry & decorative objects. 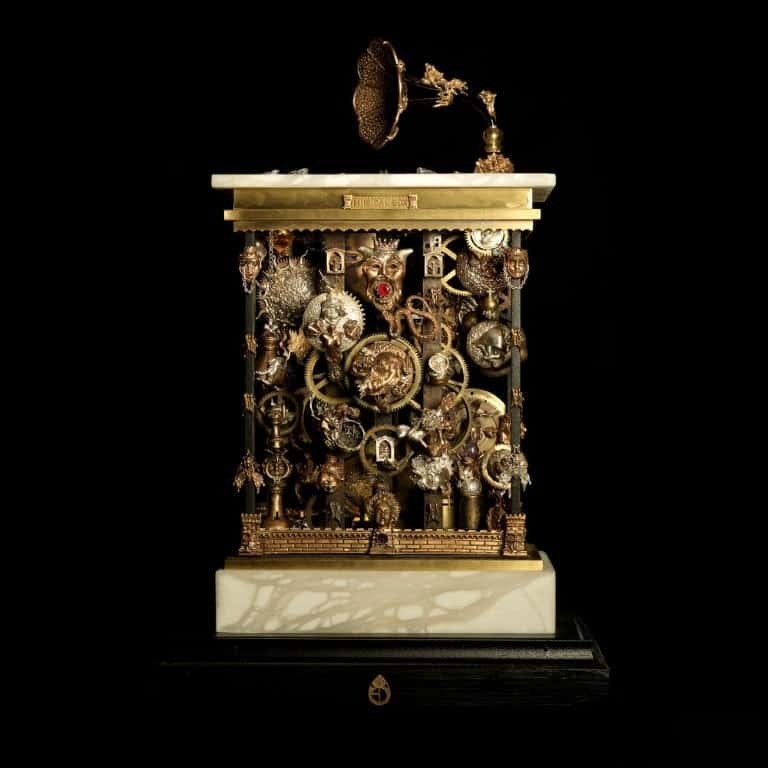 I’m absolutely obsessed with his magical, fantasy-like pieces. 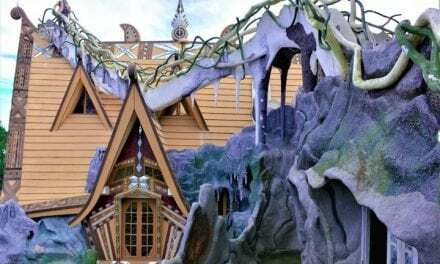 You can visit his workshop and museum on Monday-Sunday. You’ll be amazed by not just his works but his place of work as well. 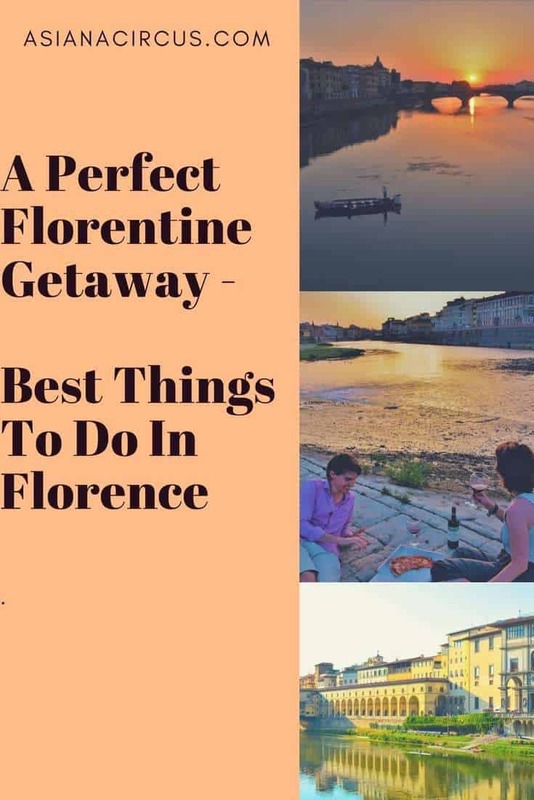 There are hundreds of other places in Florence to visit. If you have enough time you should also consider visiting a couple of the surrounding areas. 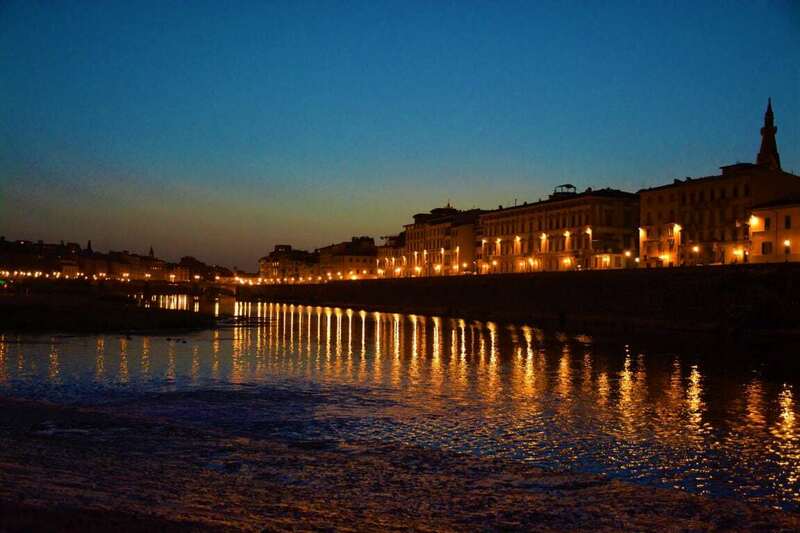 There are many breathtaking experiences and places around Florence! 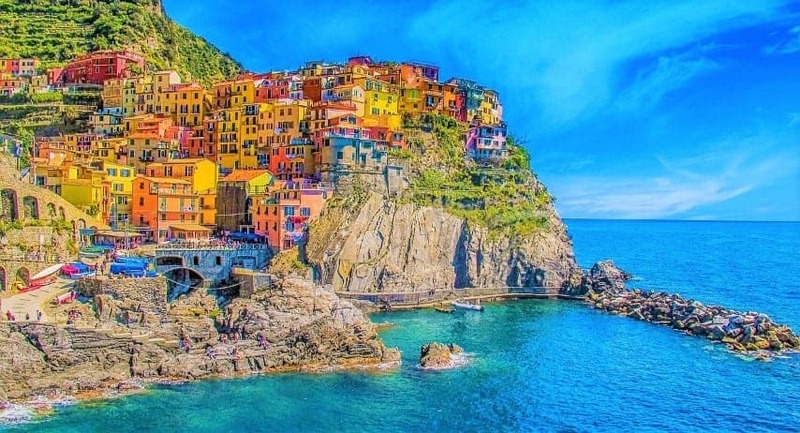 Cinque Terre, Pisa, Bologna, wineries, trekking, cycling… really so many things to see & do that you’ll need months or rather years to visit & do them all. 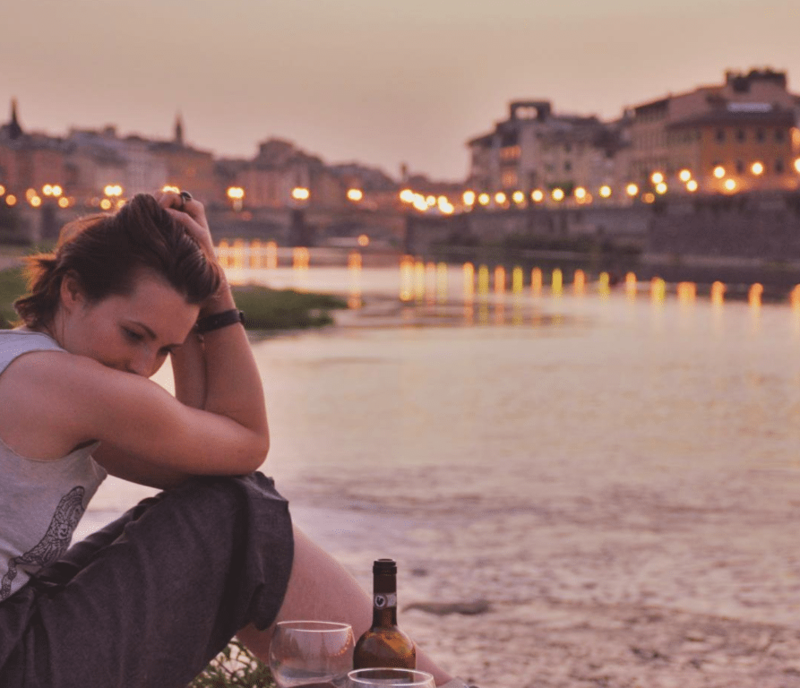 The Girl in Florence is one of my favorite bloggers. She moved from the US to Florence years ago. Over the years she became the go-to gal if you need some tips, and want to get some detailed info about the best places in town. In Florence, on every first Sunday of the month, the state museums in Florence are FREE to enter. Buy combined tickets if you plan to visit more than 2 museums. I’m a little biased but I think Florence is always beautiful. Every season brings something new and wondrous to the city. The busiest times in the city are during summer and September. You can enjoy the best weather from March-May. Although, this city is worth a visit during winter time as well. Its markets and lights will put you into Christmas mode in no time! If you want to save up about $30-$50 you should consider arriving at either Bologna or the Pisa airport instead of Florences’. 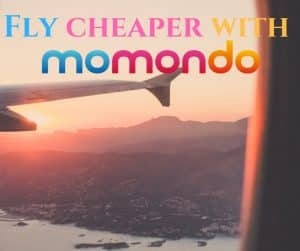 You can catch a train or bus for about $5-$20 and be in Florence in an hour or so. Stay in the center! 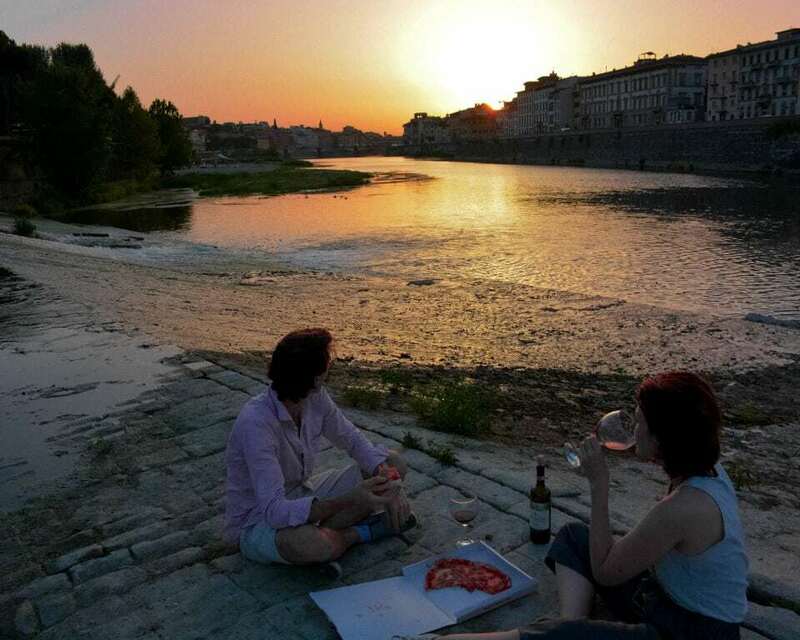 There is no point in finding a place on the outskirts of Florence. 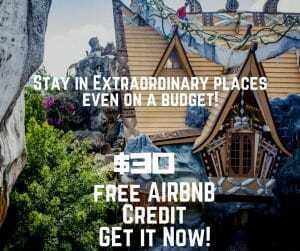 The accommodation prices are more or less the same. The city is easily walkable so if you stay central you probably won’t even have to buy any tickets for transportation. My favorite place to stay is Casa Rovai a charming guest house only a minute from the Duomo. It’s a family run business with gorgeous rooms and beautiful frescos on the walls. The guest house belongs to the family since the beginning of the 1900’s. You can find a room here from $60-$150. Depending on the season and the room itself. A tip, ask for room Putti or room La Passione. What do you think I missed? 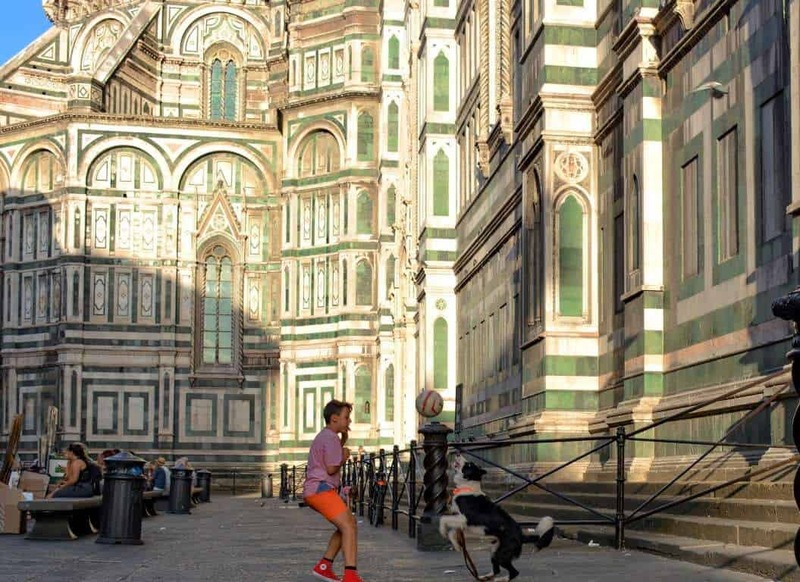 What’s your favorite thing to do in Firenze?